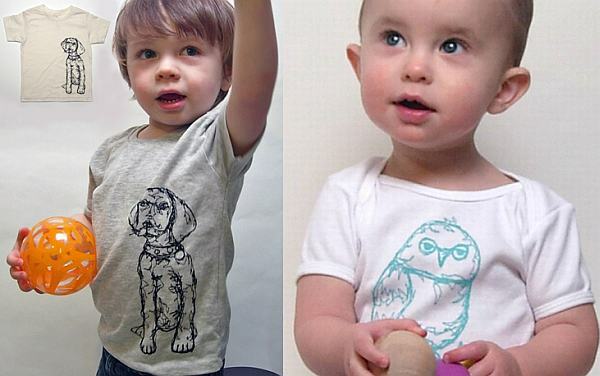 These beautiful tees and onesies are sure to get your kids noticed with their wonderful animal designs. Made from 100 per cent organic cotton, they are designed and made by KLT:works, aka American artist Kristin Loffer Theiss. 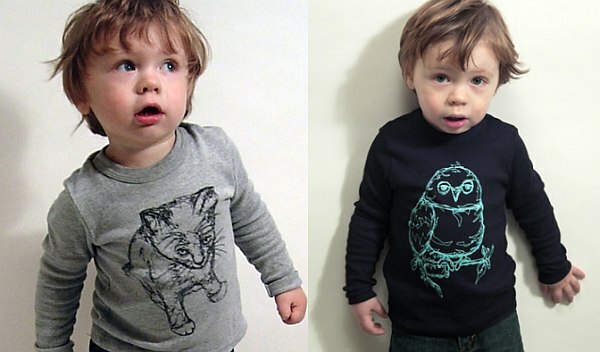 The prints are from her original designs “drawn” freehand using a sewing machine. The effect is quite stunning – unique and striking images for both boys and girls. Prices start at US$20. Shipping to Australia is available. If you like the look of these, check out Kristin’s great mobiles that we’ve featured before on Babyology. Her other products include super cuddly plushies which are just adorable and available locally through Kindergallery.